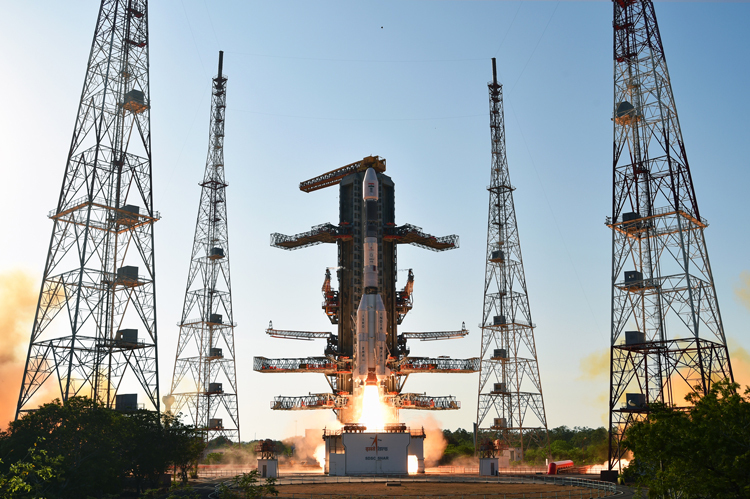 While the launch of Chandrayan-2 scheduled on January 3 was postponed a second time for unexplained reasons, media headlines of January 4 announced India setting up five ground stations and over 500 terminals in neighbouring countries; one each in Bhutan, Nepal, Maldives, Bangladesh and Sri Lanka. The report further said that "to counter China's sphere of influence in Asia" the Indian government has been taking several steps as part of its neighbourhood-first policy and one such tool in its arsenal is space diplomacy, and that the MEA has been using space diplomacy to counter China by helping its neighbours in various ways, and that this move will also help India put in place strategic Indian assets in these countries. These ground stations and terminals that ISRO is putting up will help in applications like disaster management, television broadcasting, telephony and internet and telemedicine. Additionally, ISRO will be able to use these stations to communicate with its own satellites in space. In addition to the five ground stations, India will also set up over 500 VSAT terminals. Bhutan, Nepal, Maldives, Bangladesh and Sri Lanka will each get 100 VSAT terminals. These are two-way terminals that allow telephony and internet. The first station reportedly being set up in Thimpu, Bhutan is expected to be inaugurated by January 15. Alpha Design Technologies, an indigenous firm implementing the project, is also to set up 100 VSATs (Very Small Aperture Terminals) connected to the ground station, taking TV broadcasting to many remote areas in Bhutan. The ground station is seen as India's move to counter the advanced satellite tracking centre and astronomical observatory set up by China in Ngari, Tibet. In addition to the 100 VSATs, Bhutan has also requested for 35 terminals with only receiving capability. These terminals work like set-top boxes that only receive information; ROTs (Receive only terminal). Apart from these countries, India has also received a request from the Maldives for establishing disaster management centres in 100 of the 200 inhabited islands on the country. Afghanistan too is interested in getting a ground station and 100 VSATs but their installation would be possible only after the security situation stabilises. 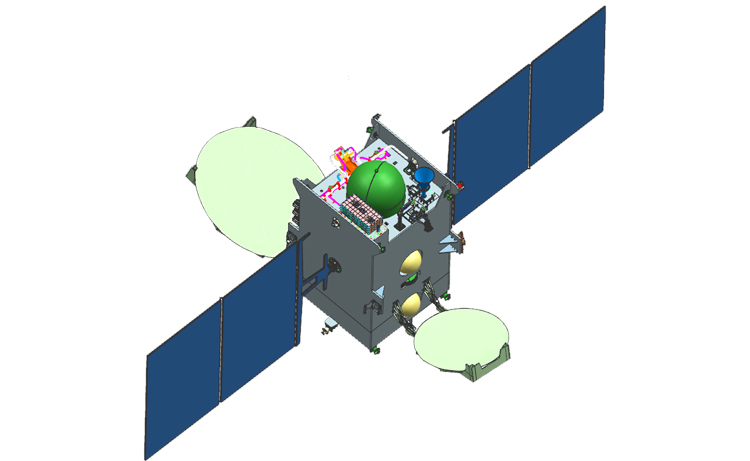 It may be recalled that on May 5, 2017, India had launched GSAT-09 or SAS (South Asia Satellite) bringing on the same platform India, Afghanistan, Bangladesh, Bhutan, Maldives, Nepal and Sri Lanka (Pakistan having opted out); operating in the Ku-Band, the 12 transponders of SAS offer a range of services including banking networks, weather forecast, telemedicine, disaster management, tele-education and broadcasting services such as television, DTH and the works. India had also promised to aid participating nations in developing ground stations to access the data relayed by the satellite. Ambassadors of all the six participating nations were invited to witness the lift-off of SAS from the Satish Dhawan Space Centre, Sriharikota given the geo-political value of the event. While India has capitalised on its low-cost space technology, the SAS venture is without parallel in the world; as per BBC, no country ever has funded an entire space program itself and then 'gifted' the satellite services free of cost to other countries, as India has done. 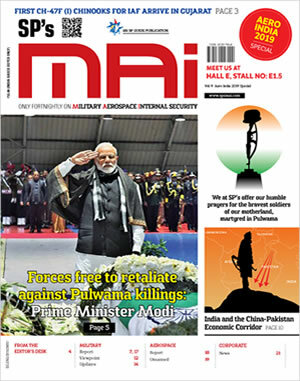 In his fortnightly radio address 'Mann Ki Baat' to the nation on May 7, 2016, Prime Minister Narendra Modi referring to the SAS had said, "The capacities of this satellite and the facilities it provides will go a long way in addressing South Asia's economic and developmental priorities." No doubt SAS has geo-strategic importance but India is not looking at countering China's strategy in this sphere. To this end, we need to develop a habit of more responsible reporting. To say that the ground station being set up in Bhutan is to counter the advanced satellite tracking centre and astronomical observatory set up by China in Ngari, Tibet is hardly in order since the latter reportedly also can 'blind' our satellites and missiles. The ground station in Bhutan is going operational shortly, but with respect to the other countries it would have been prudent to announce them when completed or nearing completion as well. We could learn from the recent lunar landing by China in an unexplored moon surface that surprised the world. It is not known whether ISRO has commenced setting up ground stations in the other above mentioned countries, but China can be expected to put roadblocks when it comes to a competing in terms of 'influence', for example in a country like Nepal. Post meeting with the visiting Prime Minister of Bhutan, Lotay Tshering in December 2018, PM Modi had said, "Space science is the new dimension of our cooperation (with Bhutan). Overall, the GSAT-9, the ground stations and the VSATs in neighbouring countries is an excellent initiative integrating SAARC countries.